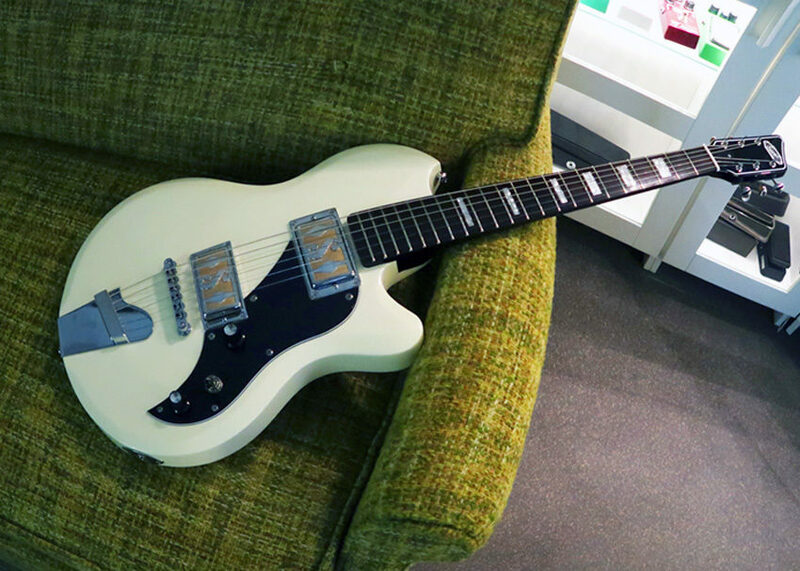 Recently in the zZounds studio I had the pleasure of noodling around on a blast from the past made modern again: the Supro Westbury. This guitar jumped out at me from the first glance with its gorgeous looks coupled with a fast satin neck and vintage-toned gold-foil pickups; let’s get into it. The first thing I noticed was obviously the retro look of this guitar. It’s just weird-enough looking and feeling to draw in the vintage lovers while also being utilitarian enough to bring in the modern tone chasers. Based on a 1960s beveled-edge body style, the Westbury is more reminiscent of a 50s roadster than Fenders and Gibsons of the time. Block inlays, striking black pick guard with “50s wiring,” volume and tone completed with a 5-way pickup switch, “wave-style” tailpiece, and all draws the eye to the Supro mini gold-foil pickups in the bridge and neck positions. Seconds after grabbing the Westbury off the rack, I noticed a key feature: its weight. I expected it to be a bit heavier, more like a Gibson Les Paul nearing 11 lbs. Supro gives this guitar an average weight of about 9 lbs. That’s great news for those with shoulder problems and road warriors alike. After marveling about the weight, I got down to playing and found this 12″ radius satin maple neck fast, responsive and just thick enough. It really had me treading the line between fighting the guitar (in a good way) and putting me on auto-pilot (like some Tele necks do.) After a few months of playing this guitar I can postulate that the tonal variety coupled with the weight and neck feel, I’d feel comfortable moving this instrument into the “workhorse” category. The set neck is another feature that gives a nice sustain-filled, vintage vibe only replicated in similarly voiced vintage instruments. As stated before, the centerpiece of this guitar’s design is most definitely the Supro gold-foil pickups; these are responsible for the distinctive tone of the Westbury. When I’m really digging in and pushing the Supro 1624T combo amplifier, there is a nice high-end sparkle that accompanies the mid-range crunch and resonance I’m used to with vintage toned guitars. On the clean side, the Westbury punches through and could easily be used as the main voice in a crowded song. I can see this guitar being utilized in both rhythm and lead applications on stage. A lot more versatile than I originally imagined from an instrument of this design. This guitar is for the player who wants a “workhorse” with eye-catching vintage charm but not all the flash of a “private reserve” style instrument. 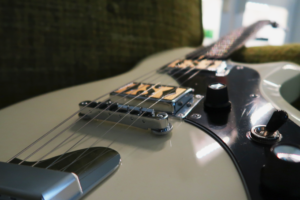 The touring musician can appreciate the weight and playability of the neck, and the studio dweller can use the Westbury as an alternative single-coil option to bring a different sonic profile to a track. 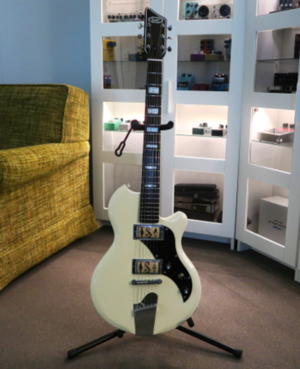 This is a guitar I want to pick up every day and try on every amp I can get my hands on. Its tone is rare, and finally available on a modern-designed instrument with an affordable price.